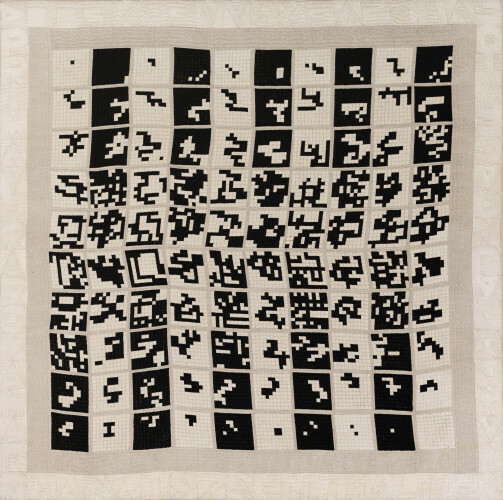 Ben Brown Fine Arts is pleased to announce Alighiero Boetti: Embroideries Including Mappas, Tuttos and a Rug, an extensive survey of embroideries by Alighiero Boetti, one of the most important and influential Italian artists of the twentieth century. Boetti used simple and often industrial materials, concentrating more on the creative conception of the work and leaving its execution to others. Between 1971 and 1979, Boetti travelled extensively to Afghanistan to work with Afghan artisans in Kabul on a series of projects, producing numerous embroideries that would become some of his most iconic works. The process of working with local craftspeople allowed Boetti to address several principal issues within his practice, namely collaboration, material, and time. 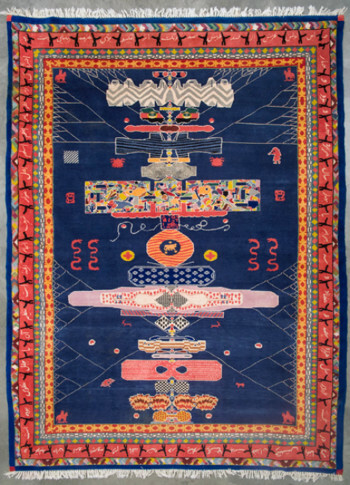 This collaboration also enabled Boetti to integrate Eastern culture and its tradition in his works (often represented by Farsi writing) and hence, bridging West and East. 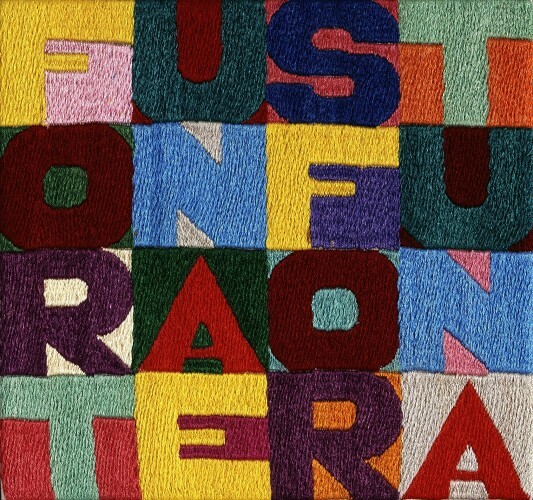 Boetti's arazzi are some of his most widely known works and highlight his love of games and wordplay; consisting of coloured letters embroidered in grids on canvases of varying sizes, the letters can be read in a sequence of arrangements to reveal short phrases in Italian, such as Fuso Ma Non Confuso (1988) ('stoned but not confused'), Tra l'Incudine e il Martello, (c. 1988) ('between the anvil and the hammer'), Piegare e Spiegare (c. 1990) ('to fold and to explain'), as well as a myriad of other truisms and riddles. The Mappa are amongst Boetti's most important works within the embroideries and were first executed in 1971. 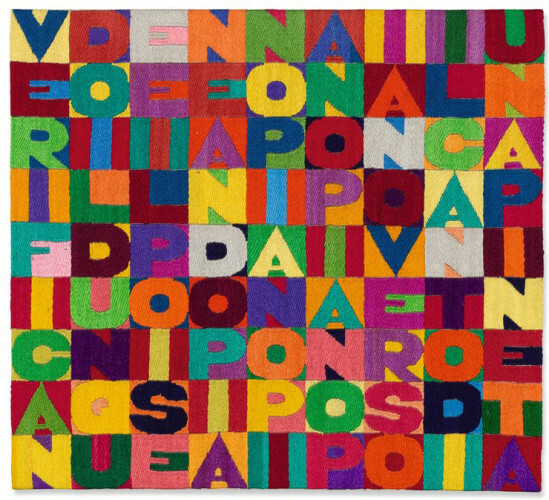 Like the arazzi, Boetti outsourced the embroidering to Afghan weaving families, who worked from designs provided by the artist. Subsequently, Boetti's Mappa are deeply rooted in a local context, whilst suggesting the world in its entirety. 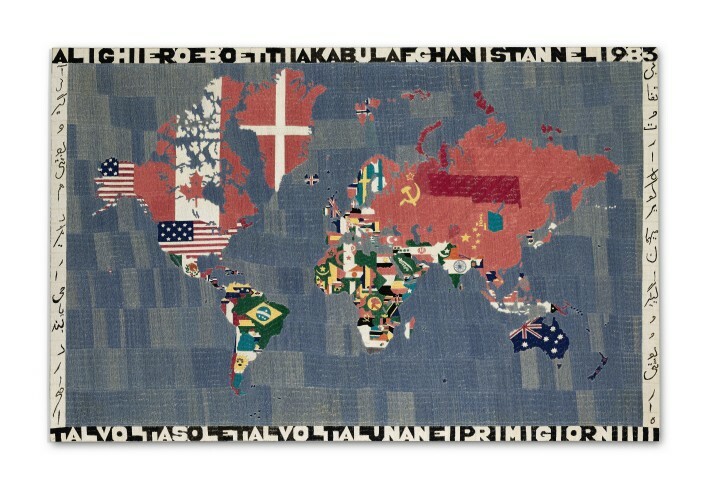 At the time of the design of each Mappa, Boetti chronicled the then current geo-political situation of the world, as revolutions in Africa, collapse in the Soviet Union and fragmentation in the former Yugoslavia came and went. However, because the lengthy process of embroidering a Mappa could take up to two years, each individual work would gain a character of transition because the world had changed since its original design. These shifting boundaries and perpetual changes appealed to Boetti's fascination with order and disorder, system and chaos - the two poles around which his artistic output revolved. While in Boetti's mappa and arazzi, time is recorded by the political representation of the maps or the dates that are part of the inscription within the work, in his Tuttos, time is conveyed through the endless layering of symbols and motifs. Tutto means 'all' or 'everything', and Boetti went on to fill these embroideries with hundreds of clustered, crowded images - everything from airplanes and lounging sphynx to embroidered alpine skiiers and sewing machines. 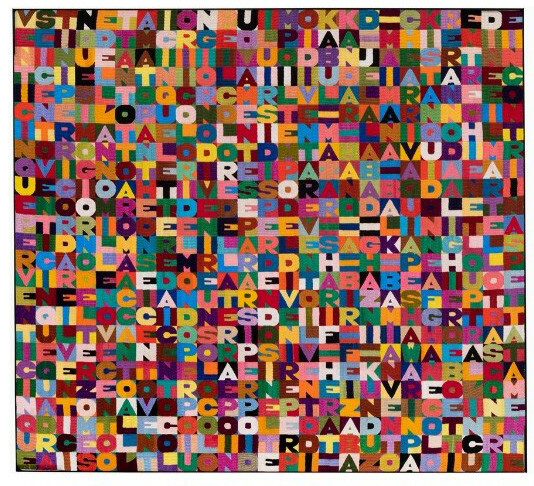 These works represented Boetti's attempt to measure and quantify the scale of his world in its entirety. 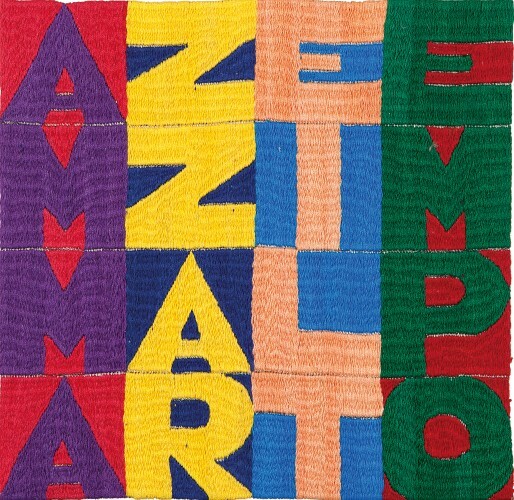 Boetti's series of tappeti, or rugs, are the last series of works the artist completed before his death in April 1994. 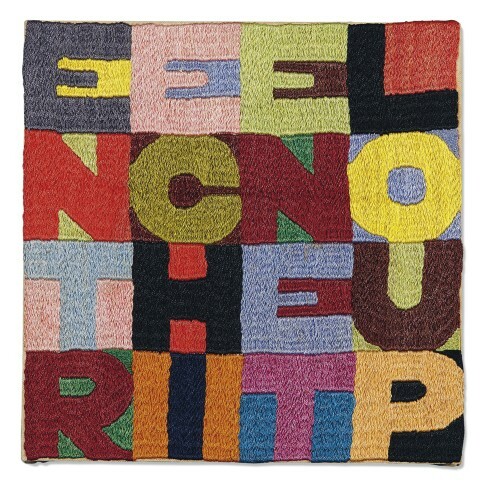 Though Boetti had initially planned to make 100 wool and cotton carpets like Senza Titolo (1994), ultimately only eleven were realised, all unique colour variations and with different images and text throughout. Traditional iconographies from throughout Boetti's artistic production can be found throughout these rugs, as well as many objects belonging to his daily life: the violin case of his mother, a toy of his son Giordano and other items of his house and his studio and are iconographic representations of his life and work.